Whether you have experienced it already or perhaps indirectly, the presence of ageism in the workplace exists. 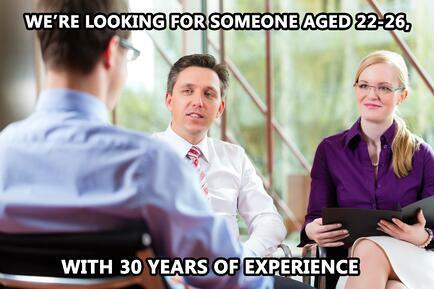 Employers want talent and experience, but not too much experience. Outsourcing has become an effective tool in cutting higher operational and managerial expenses. Why hire an expensive employee when you can outsource those services and only use and pay for it when needed? One would think that knowledge and experience is extremely valuable and that those years of experience would be worth acquiring and keeping, but the statistics show this is not likely the case for most employers. Re-train or re-invent yourself (ie: go back to school, take a certification course, etc.) but this can often be difficult and costly. Wait it out and continue the application and interview process hoping that something will come along that meets both the employer’s needs and yours. This could take in some cases up to- or more than – a year. Start your own business or purchase a franchise. I’ll share with you a recent story of my own: While my wife stopped into a Walmart for a few items, I found myself making small talk with a very friendly and energetic gentleman who worked in the store as a greeter. He disclosed to me that he was once the Vice President of Sales for a company where he had worked for 5 years before being “laid off” at the age of 57. He was then faced with unemployment for 3 years before agreeing to accept the job at Walmart. He felt he had no choice due to depleting savings and eroding retirement funds. He held onto the hope that someone would come along and hire him due to his past accomplishments and skillsets. After “50 - 100” applications and interviews, no such luck. There was no doubt this gentleman had skills, maturity, experience and other desirable attributes, yet no one seemed to want them – or him. Those very attributes could be extremely effective in owning a business of his own. I then asked this gentleman his thoughts on owning his own business, but he very quickly dismissed this idea. Why? Owning a business is often seen as risky, scary and time consuming. But, so is job searching in a market that is bypassing the experience you are bringing to the metaphorical table. What if you could be in control of your own destiny? What if you could provide yourself with long-term security? What if you could achieve a superior income stream as well as increased equity and wealth protection? Business ownership is one of the few areas where one can achieve these qualities; often not provided with many jobs. Back to the risk factor for a moment. One of the most difficult things for many to understand is that it’s often virtually impossible to eliminate risk unless one also eliminates opportunity. For many approaching or passing the age of 45, the risk of business ownership may be less than the risk of job insecurity, declining lengths of employment, declining pay scales and other factors. How Can YOU Make The Dream of Business Ownership Possible? It is a common misconception that the cost of owning a business is well, expensive. Not true! One of the more common methods of business ownership that eliminates a lot of the typical costs is franchising. Owning a franchise actually causes the cost of business ownership to decrease in many cases. There’s often less risk associated, as well. Consider the fact that you are ultimately using others’ trial and error to maximize your potential for success. The average total cost of entry level franchises purchased (those typically less than $250,000) have decreased almost 30% over the last 5-10 years! Additionally, many of the newer and more high- demand concepts available enable people to operate out of their homes and even provide products and or services across the country, which was unheard of decades ago. Another win? There are now a variety of attractive programs to help you fund your business including an innovative program that allows one to use their retirement funds tax, penalty and debt free. Benetrends is the original pioneer of this funding method called Roll Overs for Business Start-Ups or “ROBS”. They are also partnered with some of the country’s leading brands in franchises and can offer you expert counsel in making what once may have seemed like an expensive dream, an inexpensive and successful reality. 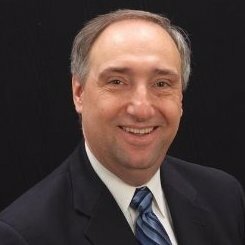 About the Author: Larry Carnell is a national award-winning entrepreneur and management consultant, as well as a respected business and funding expert at Benetrends. Because of his extensive experience within the franchise development, franchise broker, business broker and funding arenas, he is often sought out for his expertise. Larry lectures across the country at seminars and events with other notables such as Suze Orman and Donald Trump. He is also a LinkedIn international “TOP RECOMMENDED PROFESSIONAL”. To reach out to him or learn more, email Larry@Benetrends.com or go to www.LinkedIn.com/in/larrycarnell.